Carrying on the Inside Line series, we move on from looking at the Renault Clio and turn our attention to the Volkswagen Polo. Now in its fifth generation it remains one of the most popular small cars on the road. In this issue we are focusing mainly on the fourth generation Polo (however there are some tips for earlier and later generations too). It was facelifted in 2002 and once again in 2006, but also regularly updated inside and under the bonnet. 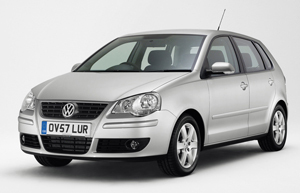 The Polo Mark IV had a more grown up appearance, matched with a good range of powerplants. Motorists were spoilt with the 1.2-, 1.4- and 1.6-litre petrol engines, and a 1.4- and 1.9-litre diesel versions. Later models of the Polo also saw the introduction of BlueMotion technology and DPFs, which provide technicians with extra challenges. Remember, too, that the information here is extracted from generous submissions from the market. Next month we’ll be looking at the Vauxhall Insignia, so if you have expertise, knowledge and insight to share, we would be delighted to hear from you. To get your advice included contact hemal.mistry@haymarket.com or peter.lawton@haymarket.com.